Chinese Medicine | Your Health. Your Lifestyle. The ancient wisdom of Chinese medicine teaches us to attend to the health of the liver and its companion organ, the gallbladder, in the spring. The understanding of the liver in Chinese medicine is similar to, but broader than, the view of the liver in Western physiology. According to Chinese medicine, the liver is responsible for keeping energy and emotions moving in the body, for storing and purifying the blood, for the health of the eyes, and for the strength and suppleness of the tendons and nails. Western physiology views your liver as both your body’s chemical factory and a major recycling center. Each day thousands of chemical reactions go on in this organ as it processes nutrients form food, creates and breaks down hormones and enzymes, and handles chemicals from your diet and environment. While detoxification activities happen throughout your body, the majority occur in your liver. Detoxification is what your body does to get rid of unwanted chemicals, be they leftovers of your own metabolism, stress hormones, products of your intestinal bacteria, or substances you eat, breathe, or rub into your skin or hair. There are two phases in your body’s detoxification process. The first, phase I, involves various reactions, usually involving liver enzymes, such as those in the cytochrome P450 family, which render foreign molecules easier to remove from the body. In phase II, these new molecules (some of which may be more toxic than the original compounds) are removed from the body via urine and stool. Detoxification reactions require many nutrients, such as B vitamins, glutathione, flavonoids, and phospholipids in phase I, and amino acids including glutamine, taurine, glycine, and methionine in phase II – nutrients that are scarce in refined foods but abundant in many whole foods, particularly, in the case of the amino acids, in pasture-raised eggs and animal foods. To understand and use this system, it is important to grasp some of the differences between Chinese and Western medicine. As you study the above chart, remember that the traditional Chinese understanding of the body organs is quite different from that of Western physiology. It evolved primarily from clinical observation, not dissection. The organs in this system are best thought of as representing not only the physical internal organs but also the entire body system of which they are a part. For example, the spleen in Chinese medicine is the primary organ of digestion, and may be thought of as encompassing the functions of the spleen, stomach, pancreas, and other parts of the digestive tract as it is understood in Western medicine. In all, this is thought of as the energy of the spleen. Note that spleen weakness in the Chinese medicine sense does not necessarily indicate any disorder of the spleen organ in the Western medical sense but instead indicates less than optimal digestive function. There are five primary internal organs: the heart, spleen, lungs, kidneys, and liver, and each is paired with one or more secondary organs; for example, the stomach is paired with the spleen and the gallbladder with the liver. The internal organs are seen to work synergistically to create the physiological functions of the body. 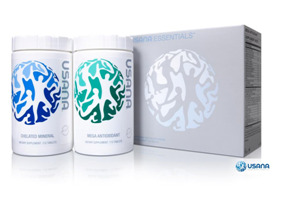 Imbalances in each organ can lead to symptoms and ill health. These imbalances generally fall into one of two types: excess, characterized by hyper function, acute inflammation, and/or congested energy or blood flow; and deficiency, which may entail reduced function, chronic inflammation, structural damage, and/or reduced energy or blood flow. If you’ve visited a practitioner of Chinese medicine or related arts, you may have been diagnosed, for example, with liver qi congestion, one of the most common imbalances among North American (qi means, essentially, energy). This diagnosis describes a pattern of disharmony or less-than-optimal function, not literally of your liver organ but of the physiological system to which it is connected. Each pattern of excess or deficiency in a particular organ is associated with a characteristic set of signs and symptoms. 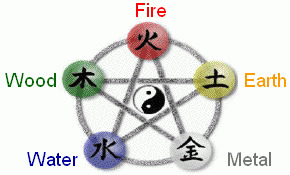 The Nei Jing teaches that each of the five elements corresponds to one of the major internal organ system as well as to a particular season. It is beneficial to attend to the health of each organ in its corresponding season. While an imbalance or illness can affect an organ during any season, many health problems can be treated or, better yet, prevented by adjusting the diet – making it more warming or cooling – and by choosing foods to either strengthen or cleanse a particular organ. Following the wheel of the year and echoing the rhythms of nature by choosing seasonal food and preparing it appropriately will ensure that each organ and system is strengthened and cleansed in turn, promoting balanced energy and vitality. The Nei Jing also teaches that it is normal for our energylevels to change throughout the year. Summer, for example, is considered the time of maximum energy and activity levels, while in winter we are advised to go to bed early and rise with the sun, focusing on conserving energy and replenishing ourselves. [ahm-wp-tabular id=null template=template1] You might wonder what makes the insights of Chinese medicine on nutrition so relevant to our times. Chinese medicine is one of the most widely used traditional health systems on the planet. The texts on which it is based were written over two thousand years ago and are thought to represent a compilation of thousands of years of observation and clinical practice before that (Ho and Lisowski 1997). While human lives have changed radically since that time, human physiology ahs in fact changed very little. The effectiveness of Chinese medicine has been continually validated as its practice has flourished and spread across the globe, and many of its insights are being confirmed by modern scientific research. 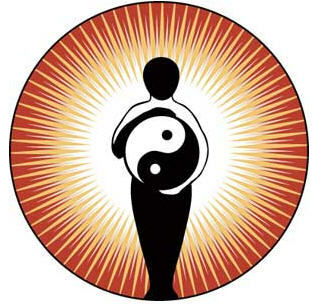 Chinese medicine offers an important complement, and counterpoint, to Western allopathic medicine in that, like most other non-Western medicines, it is truly holistic, meaning that it is concerned with “the complete psychological and physiological individual” (Kaptchuk 2000, 4). Health in the Chinese medical system is seen as a state of balance, or harmony, between opposing forces, which can be couched in contemporary physiological terms as a state of dynamic equilibrium, or homeostasis, both within an individual and between an individual and her or his environment. The goal of vibrant health, or vitality, includes not only resistance to disease or but also appropriate energy levels, emotional balance, and longevity. A key way to reach this goal is through the diet. Foods are categorized as either warming (yang) or cooling (yin). Warming foods tend to provide more thermal energy and macronutrient calories, while cooling foods tend to be less calorie dense, instead having higher water content and being relatively rich in micronutrients. Warming foods tend to stimulate or speed up metabolic processes, while cooling foods tend to slow them down and also to exert anti-inflammatory effects. Health requires an ever-shifting balance of the two. In general, animal flesh foods, alcohol, and certain hot spices are considered more warming, while dairy, eggs, beans, and grains are neutral in energy, and most other plant foods, such as fruits and vegetables, are cooling to the body. Within these larger categories of foods, individual foods are characterized as relatively more yin or yang. For example, plant foods that grow below ground, such as root vegetables, as well as those that take longer to grow, are generally more warming than those that grow above ground or grow more quickly, like leafy greens. Foods of warmer colors, such as red, orange, or yellow, are generally more warming than foods of cooler colors, such as blue, green, purple, or black. Produce form tropical climates is generally much more cooling than that form temperate climates. In-season foods tend to complement the prevailing season, helping our bodies adjust to the climate, supporting health, and preventing the illnesses typical of that time of year. Cooling vegetables, such as cucumbers and summer squash, ripen in the summertime and, when eaten then, help to cool the body and provide fluids and extra antioxidants needed when we are exposed to more sunshine. By contrast, vegetables that mature in winter, such as kale and broccoli, and those that store well to lst throughout the year, like onions and winter squash, are more warming, typically providing more calories and a different set of beneficial phytonutrients. Just as important as the energy of the food itself is the effect of the method of preparing it. Intuitive cooks and worldwide culinary traditions make use of this principle all the time. Imagine eating a salad of raw shredded carrots, dressed with lemon juice and olive oil. Would that sound good on a hot day? Now imagine the very different effect of eating those carrots if you roasted them in olive oil, allowing the sugars to caramelize, and then drizzled them with the lemon juice. Such a dish would be much more hearty and satisfying I cold weather, right? Cooking methods in order from warming to cooling are: deep frying, roasting, baking, sautéing, pressure cooking, simmering, steaming, fermenting, marinating, sprouting, and serving raw. There are many benefits to be gleaned from eating according to the seasons. From the point of view of Western nutrition, in-season food simply contains more nutrients. For example, in a 2008 study evaluating the vitamin C content of supermarket broccoli, a research team found that locally harvested fall broccoli had almost twice the vitamin C content of imported spring broccoli, which had traveled many miles to reach the market. Since produce tends to lose nutrients after harvest, the shorter the time from harvest to your plate, the more nutritious your food will be. For example, in a 2004 study at Penn State, the team found that spinach lost 47 percent of its folate by seven days after harvest. Remember the adage of both grandmothers and nutritionists to “eat a variety of foods”? as an added bonus to the sheer pleasure of this style of eating, varying your diet according to the seasons increases the variety of the food you eat, which in itself is associated with improved nutrition and resistance to chronic disease.